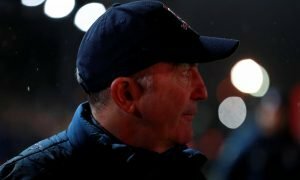 Middlesbrough expressing interest in 26-year-old defender | The Transfer Tavern | News, breakdown and analysis on all things football! Middlesbrough fans in the Football Transfer Tavern are intrigued by their latest target as they understand how important it is that defence is ready for the new Premier League season. According to Gazette Live, Boro are weighing up a move for Sporting Gijon defender Bernardo Espinosa. It has been revealed that the club have made contact with the 26-year-old as he is set to become a free agent in the summer. Despite making contact, Boro are far away from coming to an agreement with the Columbian, although the player is keen on competing against the top strikers in the Premier League. 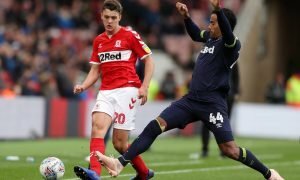 Although a factor which is putting Aitor Karanka and co off of a move for the defender is his fitness, as he is currently recovering from a cruciate ligament injury. Our resident Boro fans are absolutely buzzing to see the club back in the top-flight, though think it is essential that Karanka delves into the transfer market and adds some top quality additions. Middlesbrough fans. Do you think your club should gamble on Bernardo Espinosa’s fitness? Let us know your thoughts below!